Many gambling enthusiasts find online casinos as a source of entertainment and a means to earn real money. However, losing money or sensitive data in rogue casinos is common. Most beginners often encounter difficulty when choosing the best online casinos. You need to visit a site where the security of your funds and personal information won’t be compromised. Make sure that you take the following steps before signing up on any online casino site. Inasmuch as a Big top casino will go to extra lengths to secure its website, every player is expected to be security conscious too. It starts with using strong passwords for your accounts and relying on new RSA token each time you want to log in. Gambling under the influence of alcohol or drugs is associated with many risks. Don’t share sensitive information with other players even if you have a cordial relationship with them. This is because cybercriminals exist on online casinos and are on the lookout for their next victims. Fake casinos tend to operate illegally without a license. This is among the first things you must search for on the homepage of every online casino site. An electronic gambling license is similar to the license issued to traditional casinos by reputable institutions. It goes without saying that rules and regulations vary from country to country. 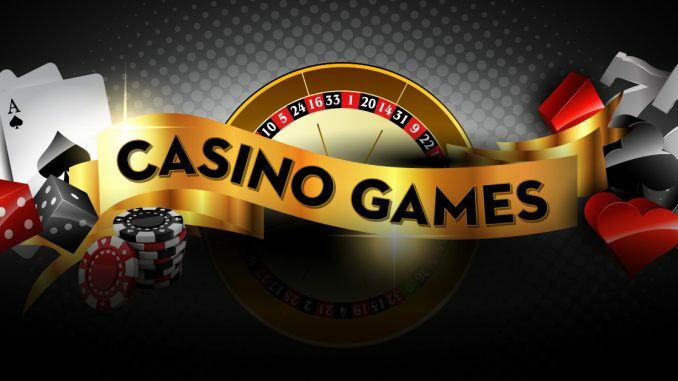 Confirm that the casino has a valid license as it’s easy to obtain just any type. Check the background information of the firms that develop the online casino security software. Online casinos are expected to use nothing less than a 128-bit SSL encryption on their site. This type of encryption is used by financial institutions and it’s difficult for any third-party to decipher the information. Some of them will include firewall protection in their security feature and rely on a certified random number generator software. Their random number generators are usually tested by independent companies. This helps to ensure that winnings are fairly shared. Certain government bodies and independent companies are responsible for auditing casinos. They will audit the apps, games, and software every 3 months. Eligible casinos always adhere to the rules and regulations that pertain to gambling in their respective countries. Failure to do this may result in losing their license. They should be willing to share the results of the audits to players at any time. Casinos that can’t reveal this type of information may be involved in scamming punters. Ensure that the payment gateway is safe whether you’re using your credit card or e-wallet. The good thing is that governmental agencies are involved in the security of casinos unlike in the past. Technology is also improving security in diverse ways. Opt for PayPal, Neteller, Visa or MasterCard whenever you want to want to make a deposit to be on the safer side. Taking this step will guarantee the safety of your funds.